I will be honest with you. When I make colorful cookies I don't let my kids eat them, because of the food coloring. I would not mind them eating colored food once in a while, but I have these cookies laying around all year long. And I am sure an overdose of the artificial food coloring would be really harmful. I was really excited about the natural food color line developed by TruColor. 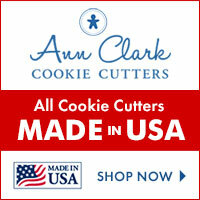 I got them all and I am truly excited about experimenting with these colors on my cookies. So this post will probably be the first piece of a long series. 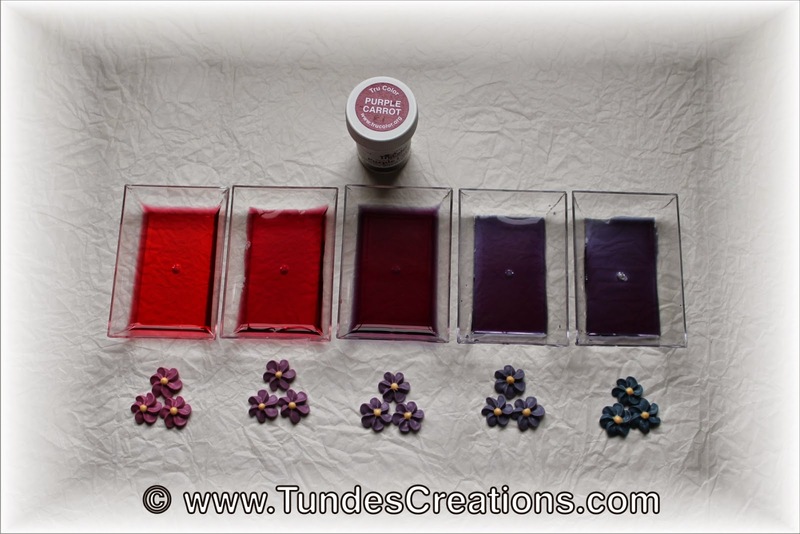 Let's experiment with the two basic TruColor product: Purple Carrot and Purple Grape. I have the feeling that these are the purest natural colors we could get. Purple Grape has only 1 ingredient: purple grape skin extract. Purple Carrot has two: purple carrot extract, citric acid. To avoid the use of preservatives, they come in powder form. You have to dilute them in a little distilled water before use. And the most fun part is, they change color according to the acidity (pH) of your food. This can be a disadvantage if you can not adjust the acidity of your food, but it is actually pretty cool if you can. In the little containers I put Purple Carrot with distilled water and added lemon juice (left) or baking soda (right) to it to achieve different colors. Then I started to play with my simplest royal icing recipe (just egg whites and confectioners sugar). It turned out, egg white is a natural base. Adding Purple Carrot resulted in blue icing. All I had to do was to add more and more lemon juice (that I normally add to my royal icing anyway). Then I also added some more confectioners sugar to maintain the piping consistency. 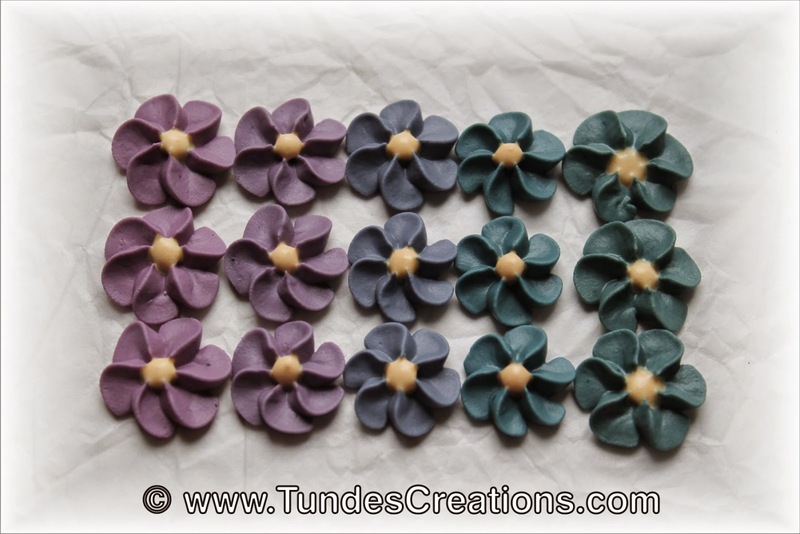 All these flowers were made with the same Purple Carrot coloring. I needed only one jar of coloring for all these nice colors. (And by playing with the quantity of the coloring I could make hundreds of shades. These flowers all have the same saturation, they were all altered from the blue you see at the right side) As they are from the same natural color, they look gorgeous together too. 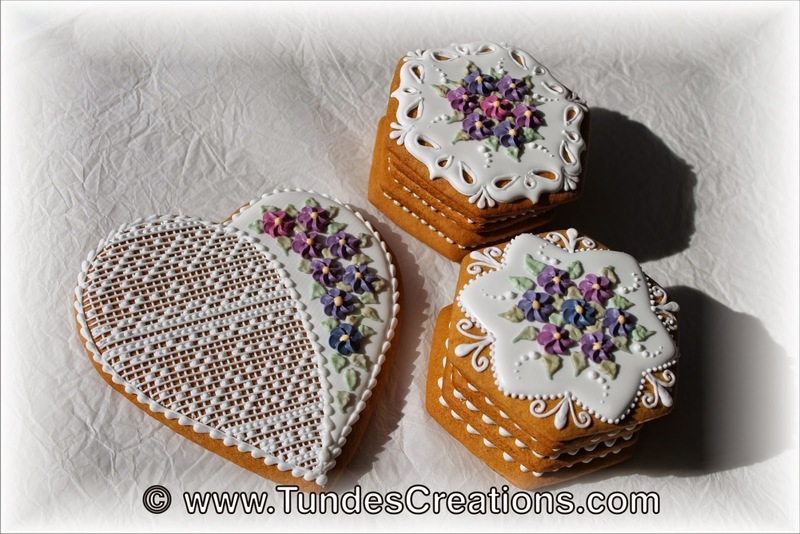 And here are the cookies made with the little flower. 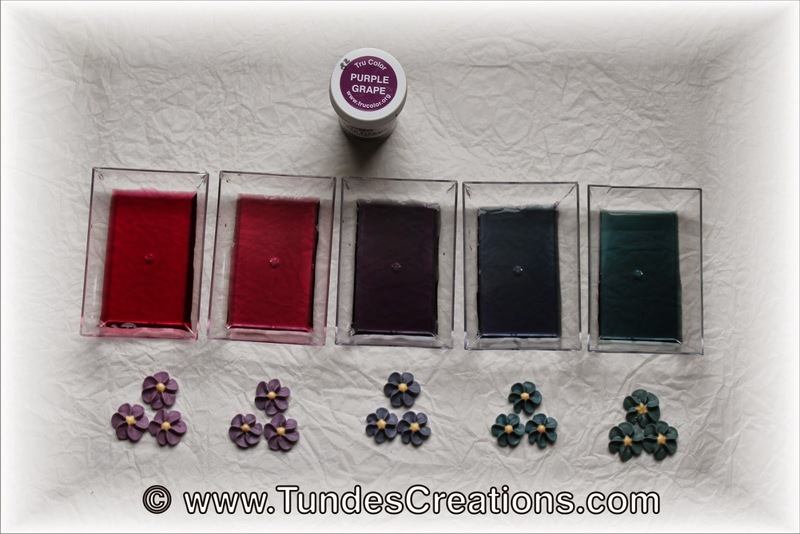 I also used TruColor yellow gel color for the middle of the flowers and leaf green for the leaves. The result was almost the same. Only the shades are a little different. 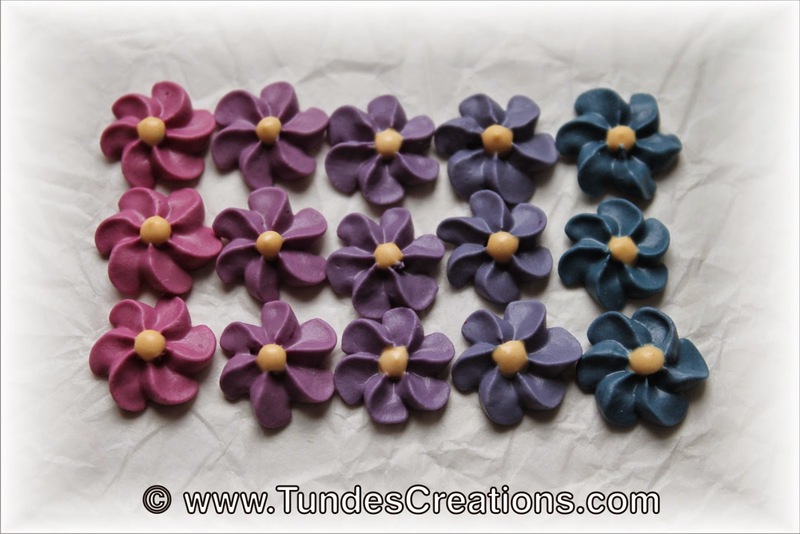 Here is my purple grape colored icing flower collection. 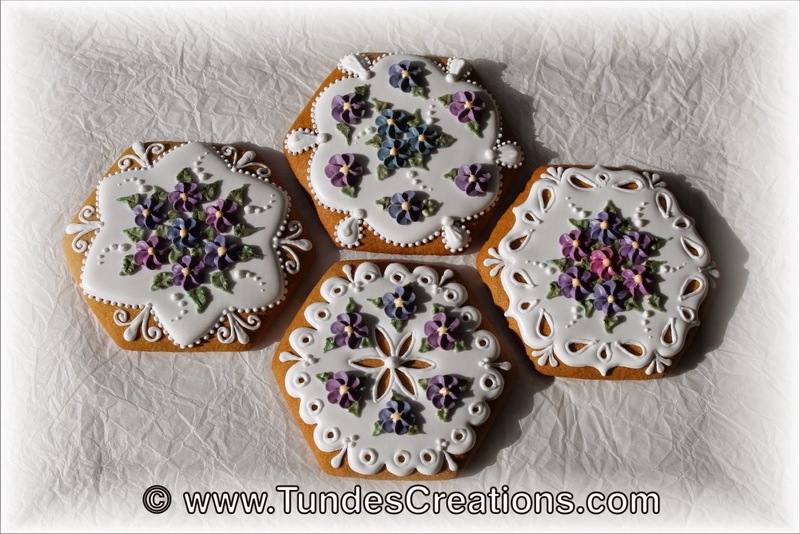 And the cookies made with these flowers. I painted the leaves on these cookies with TruColor Green Shine color. 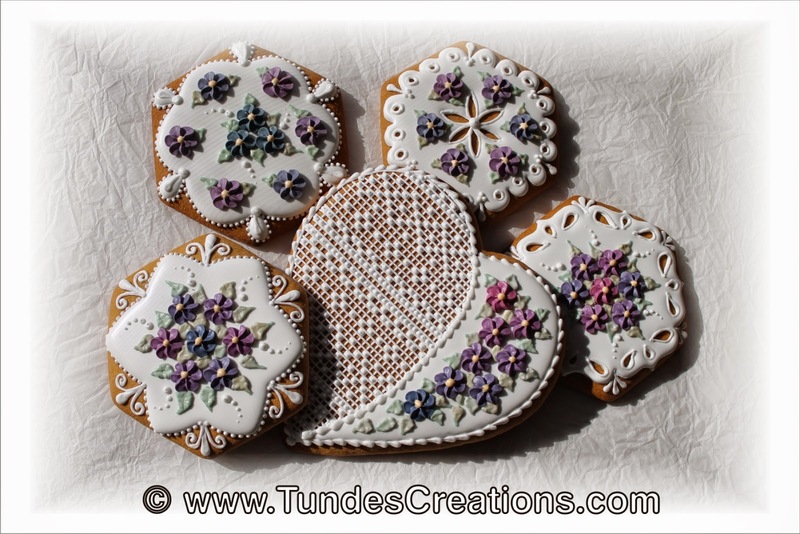 And I added TruColor Pearl Shine to the flowers and leaves on this cookie. I hope you find my little experiment helpful! Thank you! Have fun making them! 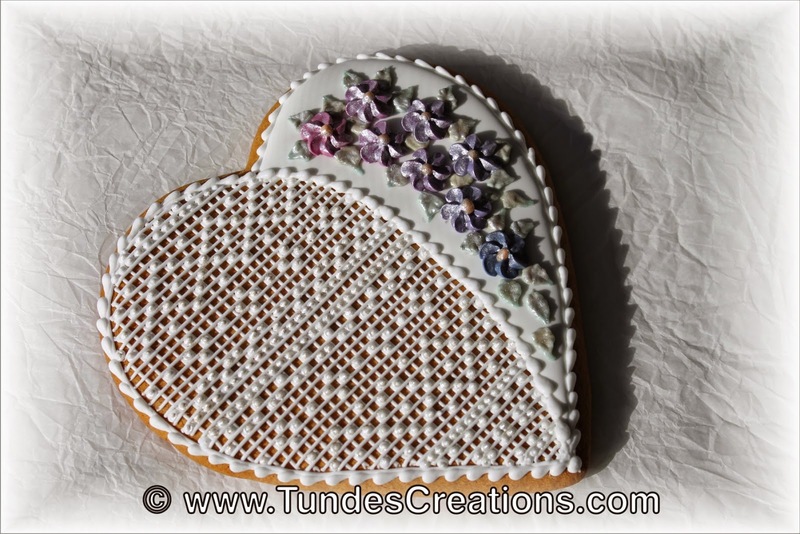 Did you make the flowers with icing and let them dry? 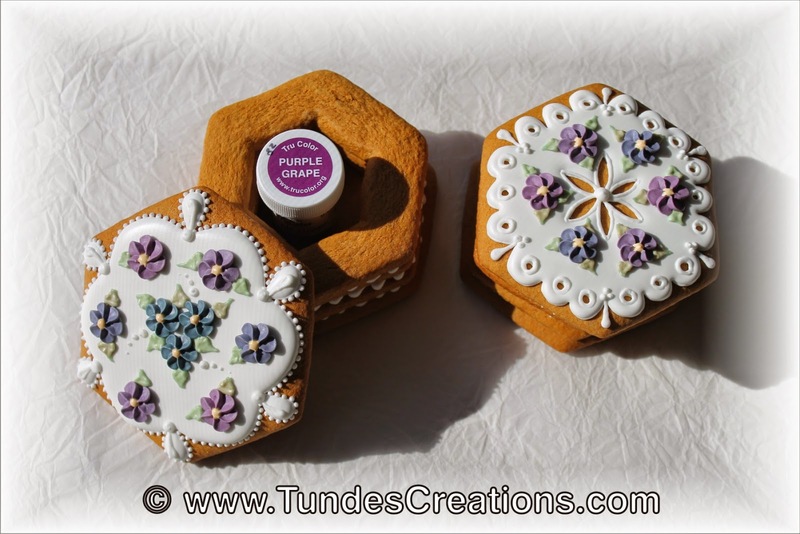 I understand you can't use TruColor on Royal icing made with meringue powder it has to be made with egg whites. Saw YouTube done my Julia Usher 2 years ago and she compared TruColor to other icing color products.